Greetings! 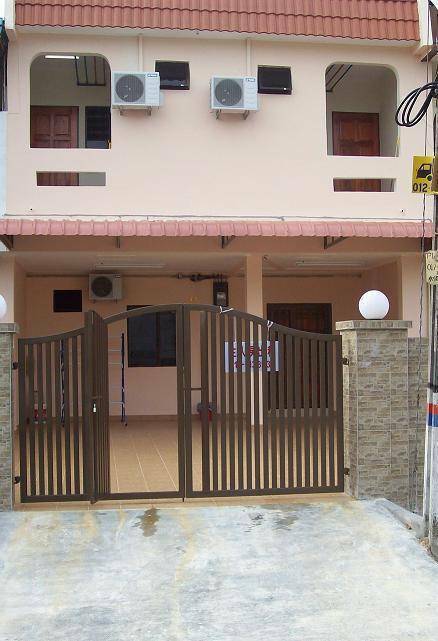 I am Dave and my Private Homestay Guesthouse is your home in Johor Bahru, Malaysia with only 5 rooms which are fully furnished and bathroom/pantry attached. To do what you want to do, the way you want to do with very little or no restrictions at all. You can enjoy a personal and cozy atmosphere in a fine neighbourhood located 3. 5km from Johor Bahru city. As a Home Stay you will find no better as its first and only one of its kind in Home Stay concept in Johor Bahru, Malaysia. Enjoy the comfort of your room amidst only four other guests in the home. All I ask is a small fee for upkeep and what you do should not make my other four guests unhappy. Safety and privacy assured. Live among the locals to feel the Malaysian living experience and leave behind a friend or two for future need. Visit and dine in non tourist areas. All rooms are air-conditioned, fully furnished with television and mini bar. Bathroom attached with hot and cold shower. A multi-channel satellite television with news, entertainment and sports. House keeping is provided. Washing machine is available for your use. Pantry for cooking is also available . Internet broadband access available 24 hours.
" Singapore City (3 km)"
" JB Duty Free Zone to Batam "
A Max of 10% of the Room Rates (excluding Deposit) is to made for reservation. The balance of 90% is to made in CASH ONLY payment upon arrival at the Guesthouse. Any North bound bus at city square passes by Taman Sentosa , The Store Shopping Centre (Landmark) Bus Fare RM 1. 5. Taxi Fare RM 8 to 10.